Christmas Piano: Stumped when it comes to carolling? Therea��s help at hand. Download the free Christmas Piano app and either play along on a piano on your iPhone or sing along with the handy lyrics that come with it. Elf Finder 2013: This onea��s going to be a hit with the little ones. Santaa��s elves are out and abouta��keeping track of whoa��s being good and whoa��s hopped on board the naughty train. Unfortunately, they are invisible. Now, with the Elf Finder (downloadable from Google Play for Rs 61.12 and iTunes for 99 cents), you can check if therea��s an elf in the room with you. If there is, the appa��s detection meter will rise and it will beep loudly. 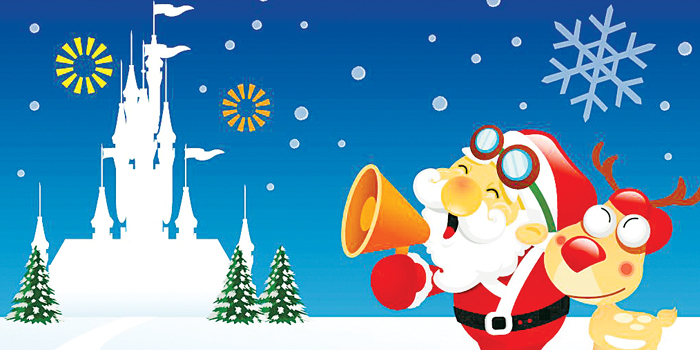 NORAD Tracks Santa: Before Google decided to track Santa, NORAD was already hot on his trail. To get in on the action, either go to NORADa��s website, download the free app for iOS, Android and Windows Phone or follow him on Facebook and Twitter. Santaa��s Twerk Shop: Finally, herea��s one for the whole family. This app lets you create personalised videos where everyone twerks it out! Just upload photos of five people from your camera roll or Facebook page and transform them into the best twerking elves out there. On iTunes for 99 cents.